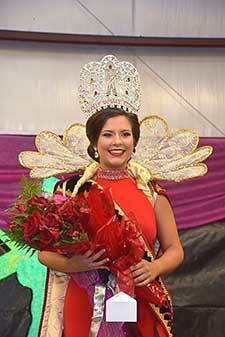 My name is Skyler Elexus Ezernack, and I am the 43rd Annual Zwolle Tamale Fiesta Queen. I am the 19 year old daughter of Evan and Rene’ Ezernack. I have a older brother and younger sister. My paternal grandparents are Edwin and Dorothy Ezernack of Zwolle, and my maternal grandparents are Roger and Joyce Patrick of Zwolle. My godparents are Huey and Lela Malmay of Zwolle. I am a 2017 graduate of Zwolle High School. While in high school I was very active in several organizations, clubs, and was also a Zwolle Hawks Cheerleader. I held various Class Officer positions through high school, while stay on the A/B honor roll. 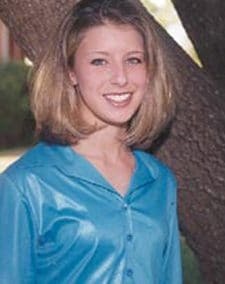 I also received several honors in high school and competed in FCCLA Star Events, where we went on to win golds at the state and national level. I currently attend Northwestern State University, where I am pursuing a degree in Hospitality Management and Tourism. My concentration is travel and tourism, and my minor is culinary arts. I am an active member of the hospitality program, where I volunteer for various events. I plan to graduate in 2020 and pursue a career in event or tour management. I am a member of St. Joseph’s Catholic Church in Zwolle, Louisiana. I attended religion classes my whole school career and volunteered for Vacation Bible School and several other activities. I was baptized and confirmed in St. Joseph’s Church. I am extremely honored and privileged to be the 2018-2019 Miss Zwolle Tamale Fiesta Queen. I am excited to see what this year holds and what memories will be made. My goal is to be the best queen I can possibly be by promoting the Zwolle Tamale Fiesta to the best of my ability. 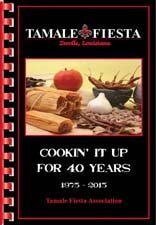 I want to educate others about our rich history and Spanish/Indian cultures, while informing them about our delicious tamales and wonderful festival.